My Paper Crafting.com: BREAKING NEWS….ARTFULLY SENT NOW AVAILABLE!!! BREAKING NEWS….ARTFULLY SENT NOW AVAILABLE!!! Artfully Sent Is NOW Available! 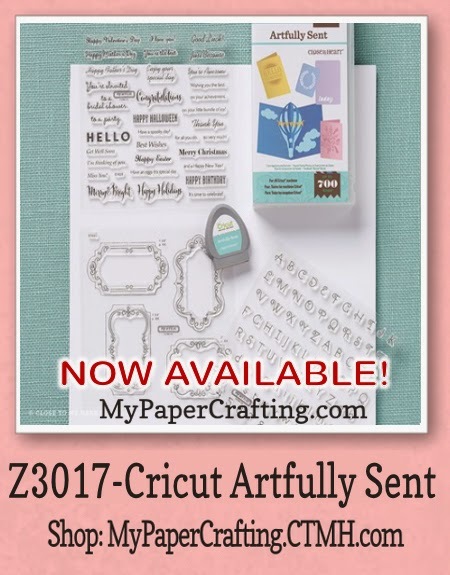 NEW Cricut Cartridge NOW Available! YEP...it's true! You can now get the Artfully Sent cartridge! If you love card making and paper crafting, then this is right up your alley. Head over to my link and order yours now. I am offering an extra special incentive if you order from me. Place your order of the cartridge bundle and then drop me a note that you have done so and I will send you your choice of any one of the new 9 paper packs! Choose One Of These 9 Collections And I will Send One To You With Your Artfully Sent Cartridge Order.